Why Loiter is a campaign that anyone can join from anywhere. The idea behind the campaign is very simple: it encourages women to loiter aimlessly about their city and make use of its public spaces :). In the face of victim-blaming and increased restrictions on women’s mobility, the campaign wants to create a sense of a community of women in public space, so that we can remind ourselves and other women that we are not alone. This Sunday, I was going to meet a friend in Matunga. 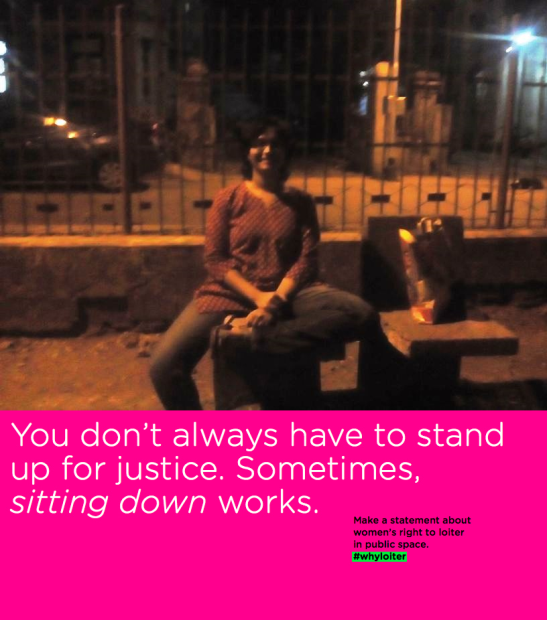 I saw the campaign on Facebook, so I took some pictures and hashtagged them #whyloiter. 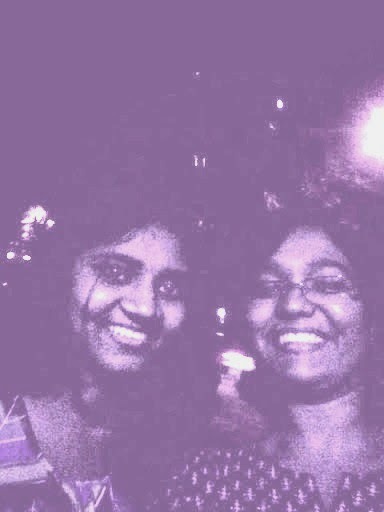 I took a short bus ride to bustling Maheshwari Udyan (King’s Circle) and met my friend for dinner at Spring Onion. The starters were especially good. We told ourselves we’d come back there some other day and eat only 3 or 4 starters, no need of main course. Then we wandered around near Five Garden and chilled… some photography happened there. Turns out my phone is not great at night photography (or I haven’t found the correct settings). There were many other people - many young people - walking, sitting around, hanging out. We walked back to King’s Circle for dessert at Natural’s Ice Cream (one berry and one coffee-cinammon/coffee-walnut mix). Strolled around the circle for a bit - stopped to look at a street book stall (open quite late - around 10 pm). Families, college students and many others also loitered there, enjoying the night air. Finally, I then took the bus home. I love lazing around at home, sometimes even more than going out. But when I do go out, chilling in Matunga is one the nicest things. It has pretty streets and buildings, good food, street book stalls, gardens, and optimal crowds (not too few people to be lonely/deserted, but usually not so many people that it becomes very crowded). 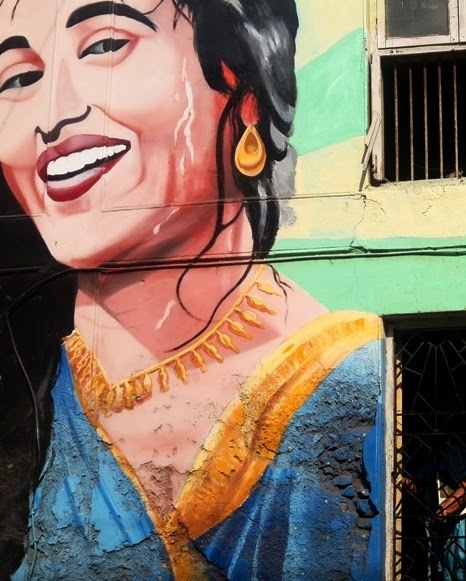 It’s widely accepted that Mumbai is the most women-friendly city in India. Bombay girls are the most bindaas (carefree, without restraint). Women who move here from other cities are sometimes heard to remark on their newfound liberation. 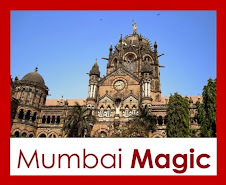 I myself love Mumbai. But even in Mumbai the freedom is not absolute and not something we take for granted. 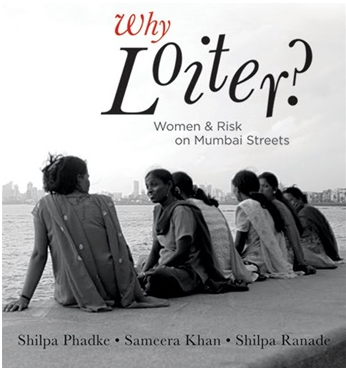 “Why Loiter” is also a book (published in 2011) that explores the ways in which the women negotiate and navigate the streets of Mumbai, in a larger culture that thinks women and public spaces don’t do together. I’ve read part of it – it was great! – and plan to finish reading it soon. It’s a refreshing, inspiring take on gender, public space and freedom. Why Loiter is a call for an end to fearmongering and for women to openly and confidently claim the streets. Loitering – taking up public spaces while doing absolutely nothing – is everyone’s right. It calls on the government and society, not to provide paternalistic ‘protection’ by asking women to stay at home, but instead to begin providing the infrastructure (for example good public transport, street lights, public toilets) for women to feel safe. The book has many other interesting suggestions too. The final aim is freedom without fear. 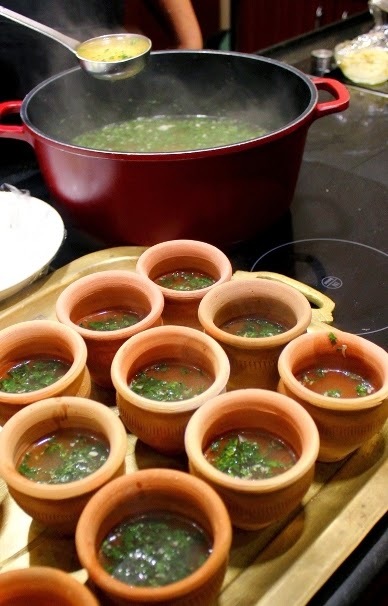 Recently I attended a very interesting workshop on food in ancient India, hosted by Rushina Munshaw Ghildayal (culinary expert) and Dr. Kurush Dalal (Asst. professor of Archaeology, MU). The combination of food and history was fun. 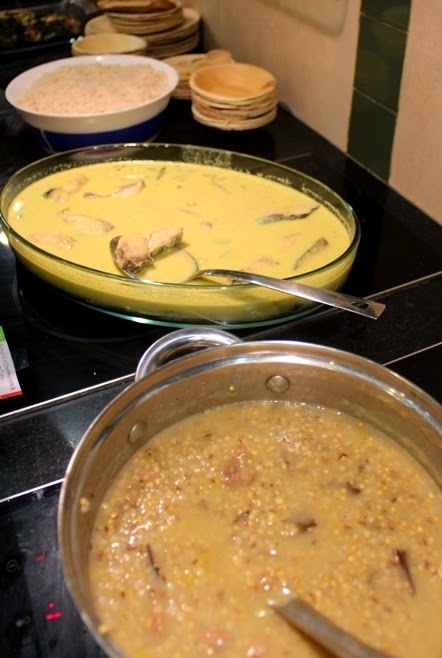 I learnt about India's food heritage, met many like-minded people, and got a delicious meal in the end. The workshop began with a talk by Dr. Kurush Dalal. five goats buried with her. He spoke of the changing relationship between human society and food, from the Stone Age to the industrial age. He told us about the fascinating tools and techniques archaeologists use to find out what long-dead people ate. 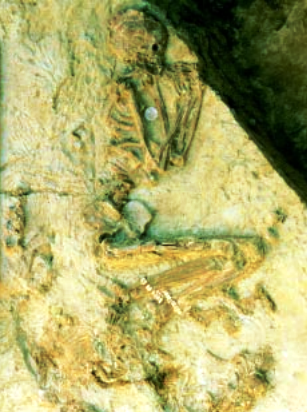 For example in Mehrgarh (an Indus Valley site), ancient people are buried alongside goats - so we know they were probably shepherds consuming milk and milk products. Lots of traces of barley (and some wheat) show that they had domesticated these grains and were farming them. Ancient Indians did NOT have access to so many things: no cabbage, cauliflower, potato, tomato, chillies, groundnuts, corn, rajma, cashew, chikoo. No tobacco, tea or coffee. Today we can hardly cook without tomatoes or chillies, and we certainly can't give up tea and coffee. The predominant grains we eat today are also different. For example, lots of barley and amaranth were eaten in ancient times, unlike today. Millets (which were a major staple as recently as 50 years ago) are losing ground to to wheat and rice. Plus, hybrid and uniform crop-types are taking the place of localized, diverse varieties of each grain. Lastly, oil, salt, sugar and spices are widely available in modern times but were rare commodities for our ancestors. 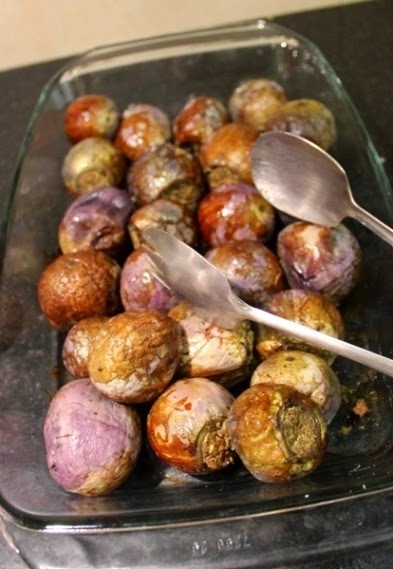 This made a huge difference to their cooking methods and recpies. I also learned that in ancient India, a spice called long pepper was widely used - now we mostly use chillies and black pepper. pepper. 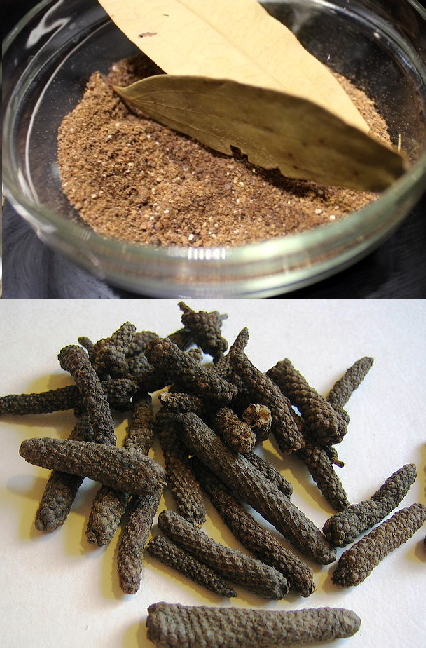 Rushina used roasted, powdered long pepper (top). The talk was followed by a cooking demonstration and buffet, by Rushina Ghildayal. 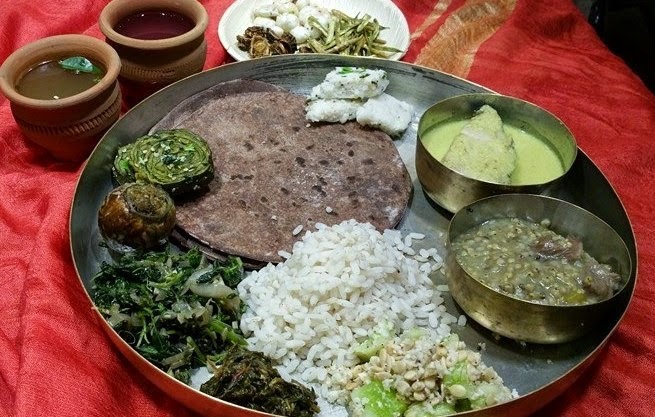 Rushina conceptualized and cooked the whole meal, using only those ingredients and methods that were available to ancient Indians. Panchamrit (with grape juice - hence the colour). It had lime, fruit juice, honey, water and rock salt - yum. All in all, I came away very enlightened and very full! 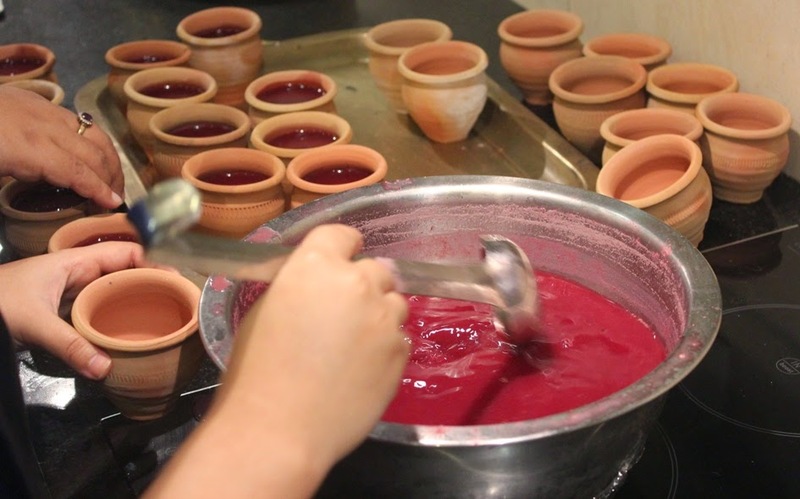 APB Cook Studio does lots of food events (and cooking classes) throughout the year. 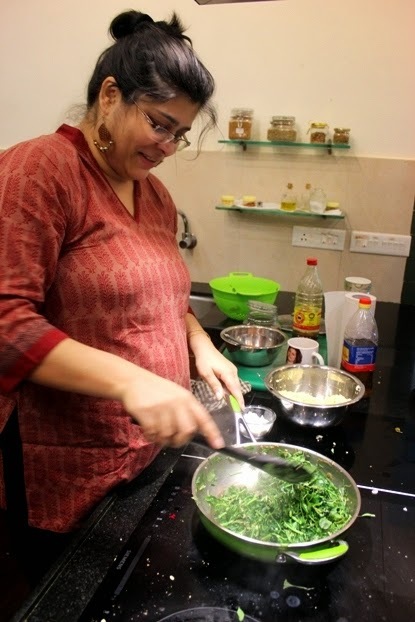 Rushina celebrates regional cuisines, revives almost-forgotten recipes, and also teaches cooking. 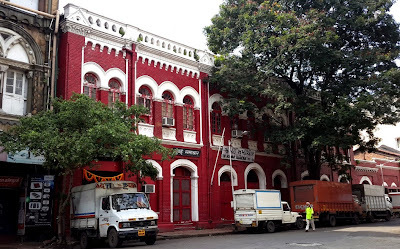 The beautiful red building in this photo is of Mumbai Samachar, the oldest continuously published newspaper in India. Mumbai Samachar was first published in 1822, in Gujarati, and is going strong even today. The building is very well maintained; the old Gujarati typeface on the signboard is intact, and it is one of the few industrial buildings from the 1800s still surviving in the Fort district. As you can see, the Gujarati text on the signboard says "Mumbai Samachar" and the English version says "The Bombay Samachar". On the top left, it says "Bhaaratnu Sarvapratham Dainik" (India's First Daily). And on the top right is Sthapna (the year of establishment) 1822. The art of Gujarati type-setting is more than 200 years old. Gujarati type was moulded in Bombay for the first time in 1797 at the Courier Press; by a Parsi named Behramji Jijibhai Chapgar. Apparently, this Jijibhai was quite the typesetting genius. Robert Drummond, who wrote a book on typesets in 1808, described Jijibhai as an "ingenious artist" who without any outside help, "succeeded in completing a font of the Guzzeratty types". Although the type-set was in place by 1797, it was used only for publishing advertisements. For a long time, there were no books or newspapers in Gujarati. 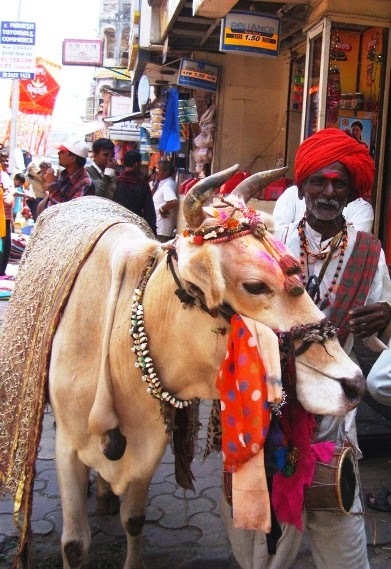 There were approximately 200,000 people in Bombay around 1800 AD. Trade was thriving. The population included a significant number of Gujarati speaking people - Parsis, Memons, Bohras, Jains, Kutchis, and other Hindu Gujaratis. The time was ripe for a regular newspaper in Gujarati, to provide business news and trading information to these communities. This gap was filled by Ferdoonji Murzban, a Parsi priest from Surat, who set up Mumbai Samachar in 1822. His story, like all stories of pioneers, is very interesting. Ferdoonji was born in 1787 into a family of priests, and initially trained for priesthood. 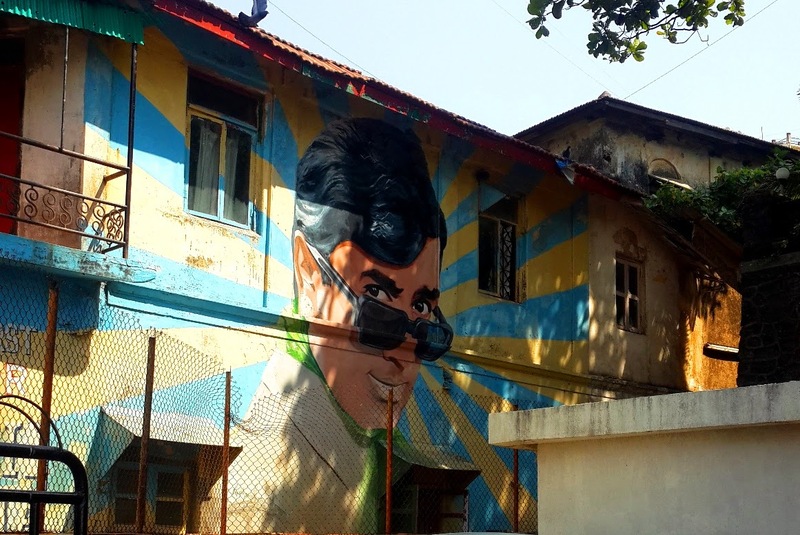 At the age of 18, he came to Bombay and learnt Persian and Arabic languages. In 1808 he opened a book-bindery, and made some money through an order from the East India Company. He decided to invest the funds in a printing press. Ferdoonji was a friend of Behramji Jijibhai (who worked at the Courier Press), and would visit him there. 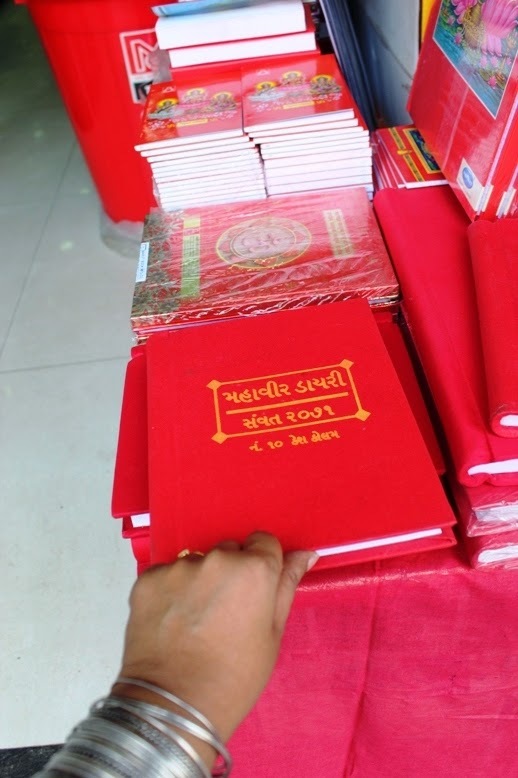 Using Jijibhai's Gujarati type-set, Ferdoonji first published a Hindu panchang (astrological calendar) in Gujarati, at the grand price of Rs 2 per copy. That was in 1814, and it was a commercial success. I read that Ferdoonji's family, including the women, all worked together, helping to polish and set the type. 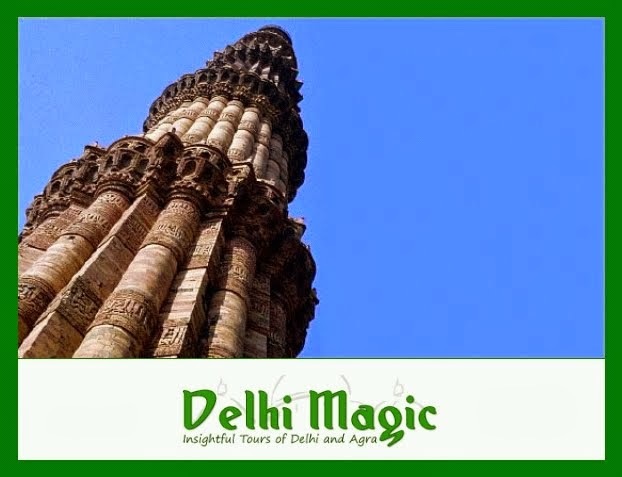 Ferdoonji was inclined towards religion and philosophy. In 1815, he brought out a copy of the Dabestan in Gujarati. The Dabestan, originally written in Persian in the mid-1600's, is a comparitive study of religions, and includes a detailed description of Akbar's Din-E-Ilahi. That Ferdoonji chose to put his earnings into this obscure work (there couldn't have been many takers for it!) points to the strength of his liberal religious views. 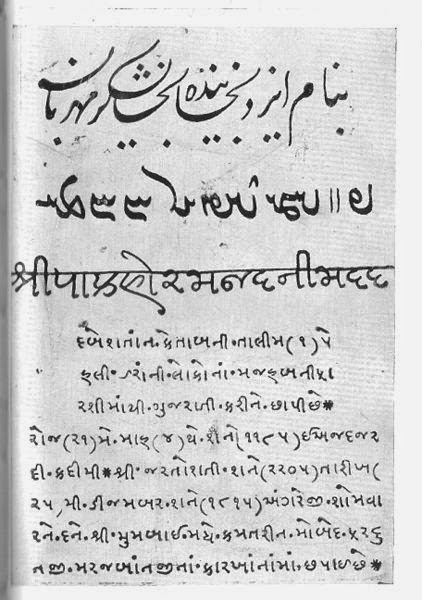 In 1818, Ferdoonji published the Khordeh Avesta, a Gujarati version of the Parsi scriptures, along with notes/commentary. It got him into huge controversies with the more orthodox elements of the Parsi community (I'm not sure whether it was the translation or his commentary that got him into hot water!). But like they say, all publicity is good publicity :) Ferdoonji weathered the storm and in 1822, he went on to publish the Prospectus of Mumbaino Samachar, a bi-weekly newspaper in Gujarati. Like the panchang, Mumbai Samachar was a super-hit. Within weeks, it was fully subscribed. Among the 150 people who initially subscribed, there were Parsis, Hindus, Mohammedans and Christians (Europeans). 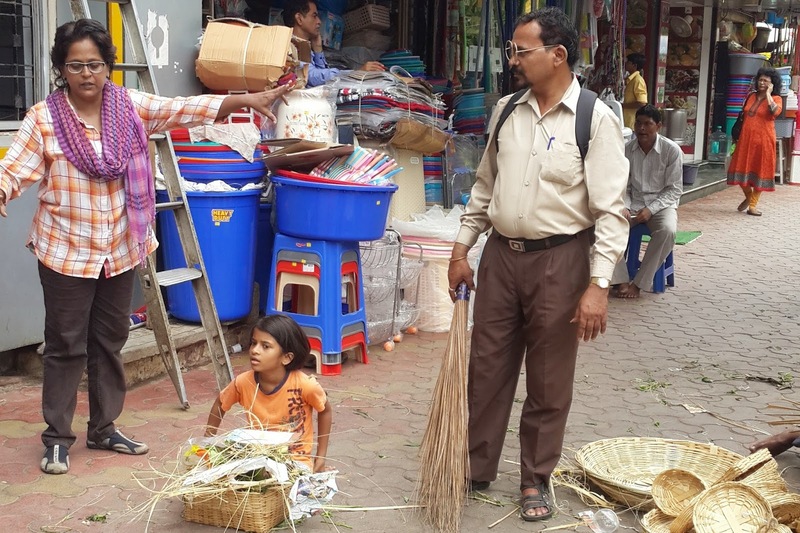 Mumbai Samachar was meant for the business community, and filled a much needed gap. It featured local appointments, ship docking schedules, and news clippings from Calcutta and Madras, which were the two other important British centres at the time. There was also news from London, and the prices of opium from Canton in China. 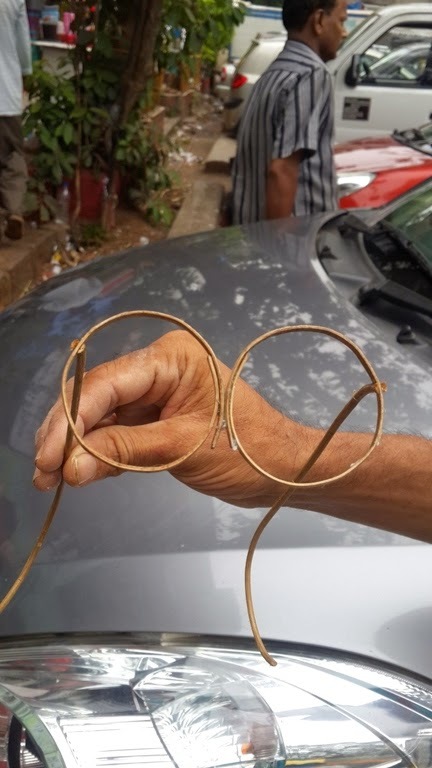 The paper went from strength to strength, and still continues to function today (although Ferdoonji was actually forced to leave Bombay and settle down in Goa, due to his religious views). The street on which the newspaper is located is called Bombay Samachar Marg. It is currently owned by the Cama family, and run by Hormusji Cama. If you ever go walking in Horniman Circle, stop by and admire the building. Often you'll spot Hormusji's maroon 1959 Chevy Bel Air parked outside (he is a vintage car enthusiast). I drove by recently and saw two uniformed men standing at the gate. I'm not sure if they work there. 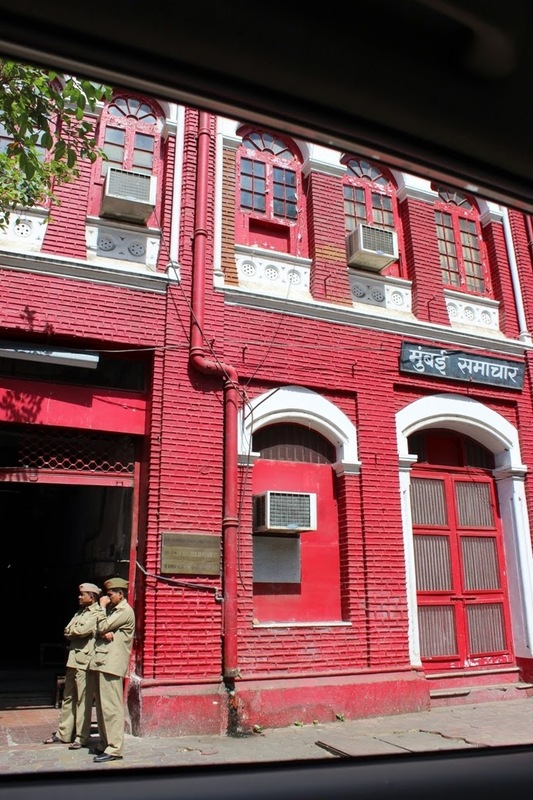 But I was comforted by the feeling that the doors of Mumbai Samachar were still open for business, keeping the memory of Ferdoonji Murzban and Jijibhai Chapgar alive. It's fun to explore the markets during Diwali. So much buzz! 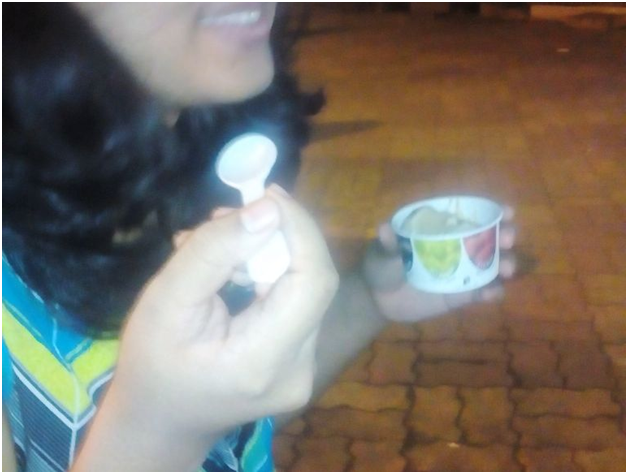 I walked through the area from Plaza Cinema to Hanuman Mandir, then did a short side-foray into Ranade Road. See the walk photo album here on the Mumbai Magic Facebook Page. 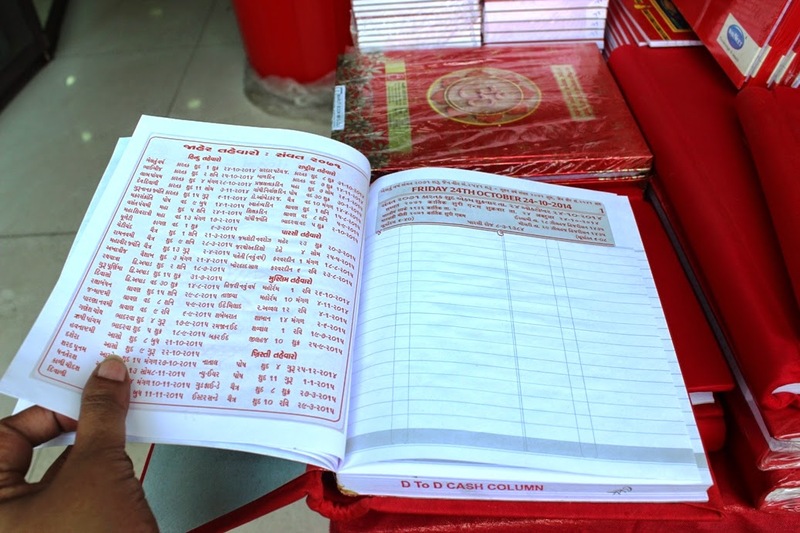 With Diwali around the corner, the streets of Bhuleshwar have lots of red chopdis (account books) on sale. Larger businesses may have switched to computers, but these cloth-bound books are still used by many smaller shops. Try going into Mangaldas Market, for example, and you will spot traders writing in them. 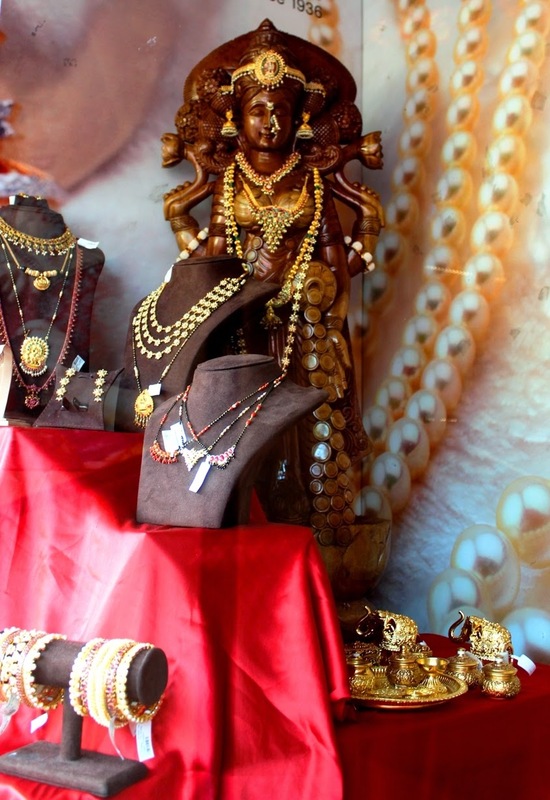 On 23rd October this year (Diwali / Lakshmi Pujan Day), businesses will close their old books, offer prayers to the goddess of wealth, and start the new year on the 24th. Here is the opening page of the book; listing the calendar year. 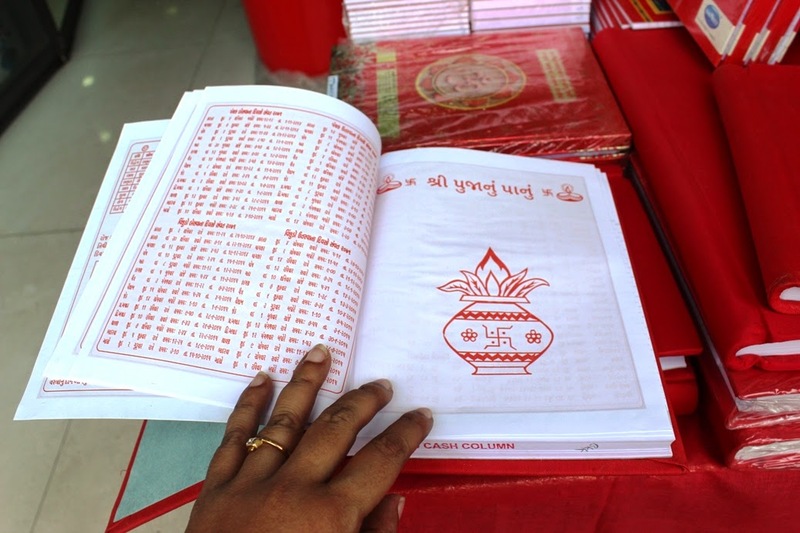 It says in Gujarati script, "Diwali to Diwali, Samvat 2071". 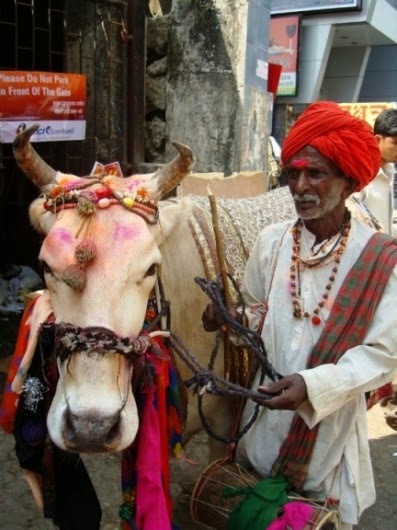 The calendar followed by Hindu Gujaratis (and also Jains) is the Vikram Samvat, which was established by King Vikramaditya of Ujjain, following his victory over the Sakas in 56 BC. The Vikram Samvat or Era is therefore typically 56 or 57 years ahead of the Christian Era. Currently we are in 2071. 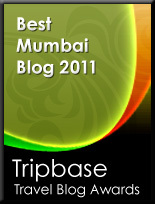 The page also lists Calendars based on the conventions followed by other prominent business communities of Mumbai. The Islamic calendar is listed for those following the Hijri Year, but also there is the Muslim Misri Year (which is followed by the Bohras, a major business community of the city). 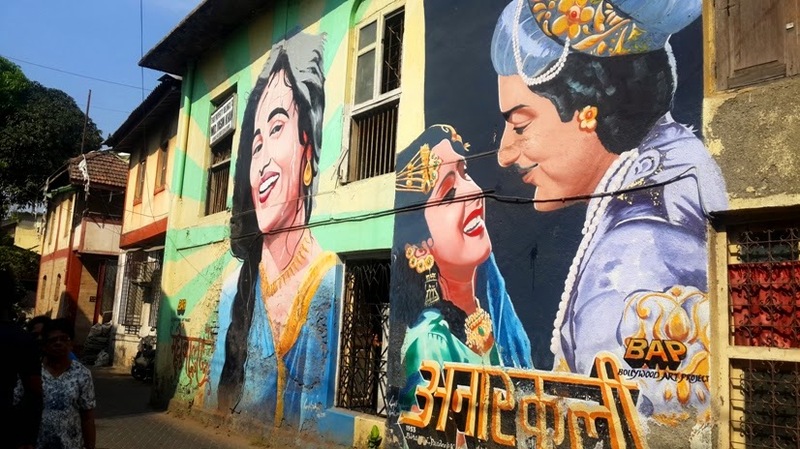 Another business community which features is the Parsis; their Shenshai Calendar Year is listed, as well as the Marwari Calendar Year and the Indian Saka Calendar Year (which is used by some of the Maharashtrian businesses such as the wholesale fruit sellers in Crawford Market). Here is the next page, which is used for the worship. It has a drawing of the kalash symbolising prosperity and auspiciousness. It says "Shri Pujanu Pano" (Shri=Lakshmi, Puja=Worship, Pano=Page). 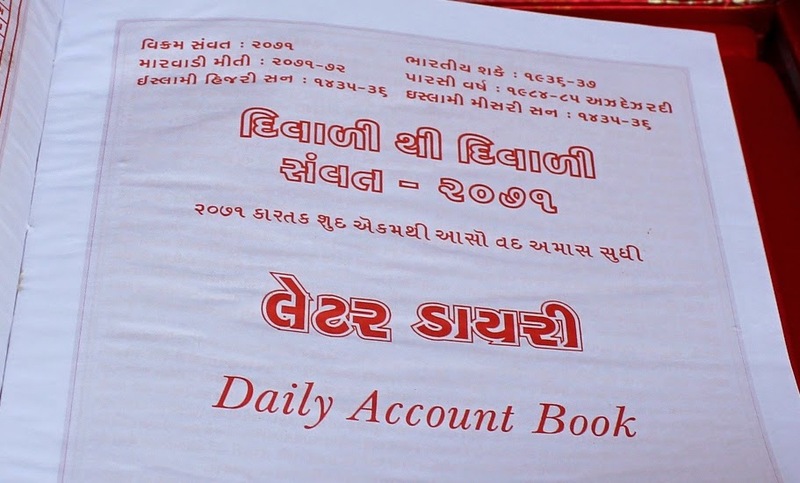 The traditional accounting system (Bahi-Khata) followed in Gujarat and Rajasthan is a full-fledged double entry system. It makes a double-entry for all transactions affecting real, nominal or personal accounts. These transactions are first entered in the rokad-bahi (cash book), and then posted into the khata-bahi (ledger). A nakal-bahi serves as the journal. Finally a trial balance (kaccha ankada) is also prepared. I have watched entries being written into these red books in some shops, and I'm tempted to walk up to someone and ask them to teach me how it works. But it's so intrusive! The pages inside the book are also a reflection of the diverse cultural / business practices of Mumbai's trading communities. 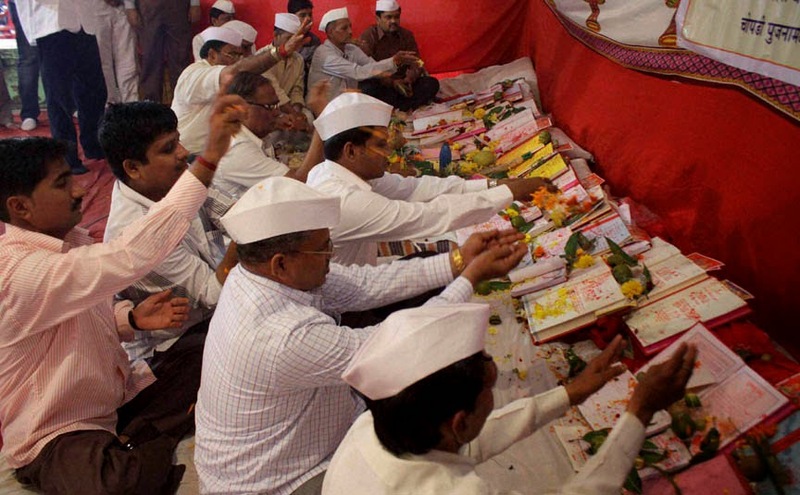 The daily sunrise and sunset times are mentioned, to accommodate some practices such as Jain community's requirement to know the 'hora' or muhurat. 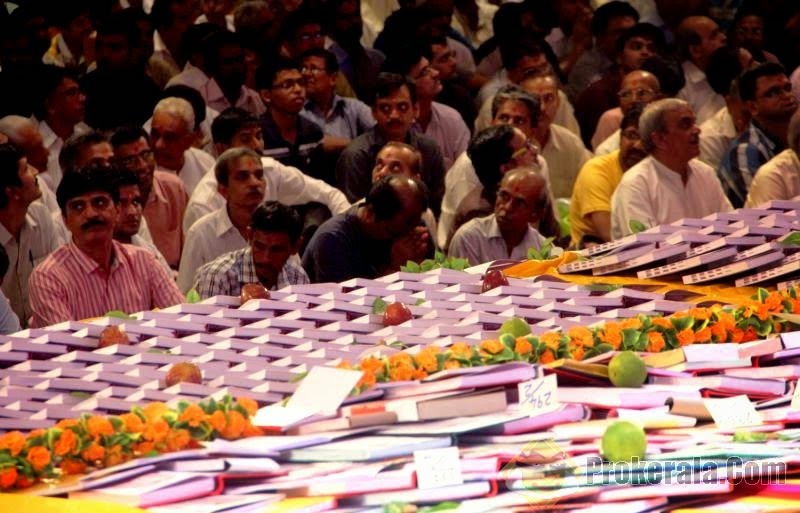 The Jain working day is broken into 12 horas, beginning at sunrise and ending with sunset. Each hora is influenced by a particular planet and may or may not be suitable for undertaking a new activity. When I see how well these books accommodate the needs of all communities, it makes me proud to be part of Mumbai's culturally diverse and thriving entreprenuerial ethos. 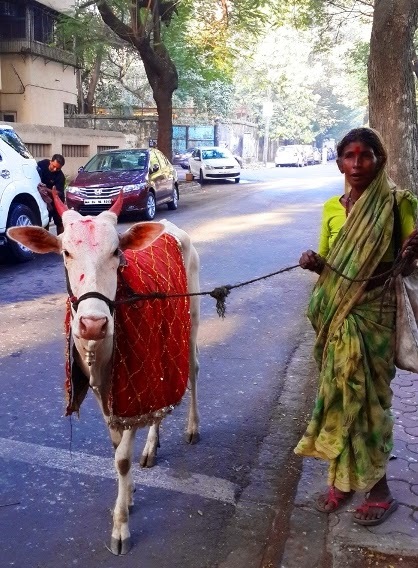 This sort of thing is the very essence of Mumbai. The divisive voices we hear in modern politics are a sad reflection of how we are losing our traditional ability to get along and do business. 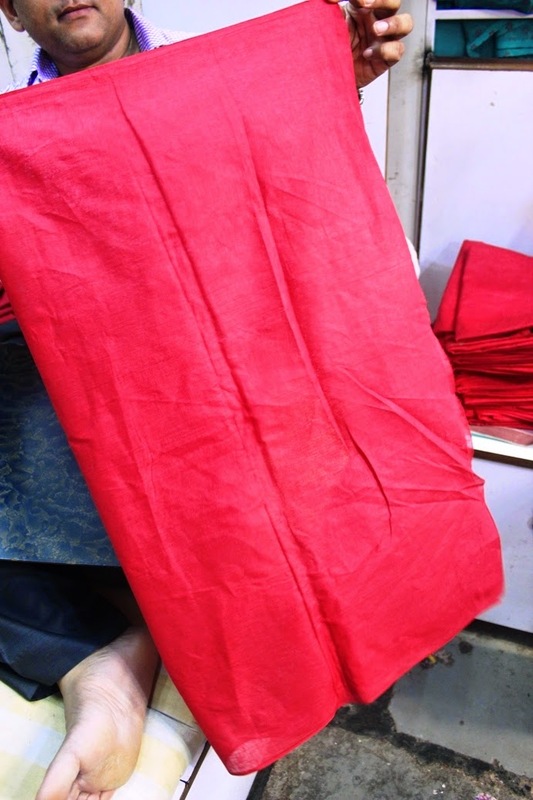 When I went to Mangaldas Market, I also saw the shops busy folding and stacking red cloth. This cloth is used as the base of a raised platform where the idols of Goddess Lakshmi and Lord Ganesha are installed. It will be purchased wholesale from Mangaldas Market by many dealers, and they will sell it all over Mumbai, to the business community. For Lakshmi Puja / Chopda Pujan there are group prayers organised in Mumbai. Some temples also organise them, for example, the Swaminarayan Temple has chopda pujan as well as annakut celebrations the next day. 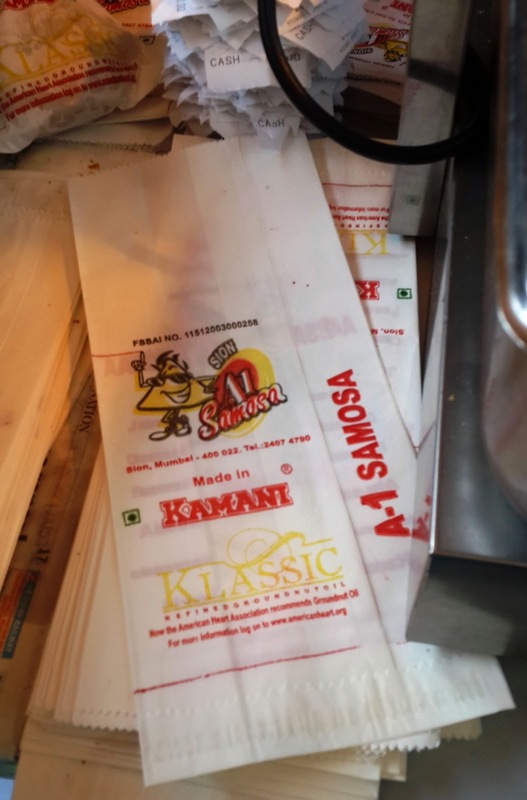 If you live in Mumbai, and like watching movies, chances are you’ll have eaten an A-1 samosa. 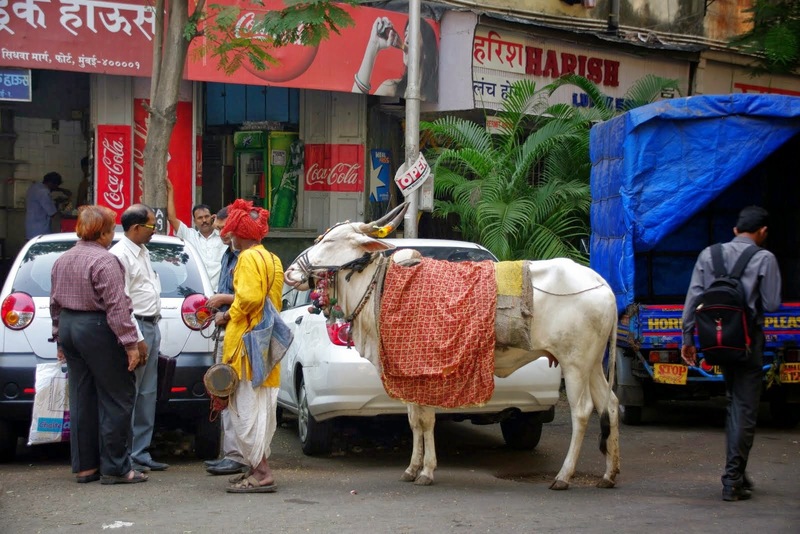 They’re among the most famous samosa-makers in Mumbai. They make about 15,000 samosas a day, and supply more than 30 movie halls in the city. Whether it’s a posh multiplex or a small single screen, you’ll find them wherever you go. Those crunchy, spicy, potato-filled triangles of happiness can make a bad movie tolerable and a good movie awesome! But to get an A-1 samosa, you don’t have to go to the cinema, where they’re priced quite high. At their main shop in Sion, near my house, it’s 10 rupees a samosa. The shop’s nothing fancy, and it’s often hidden from view behind a row of parked vehicles. But it's always bustling with customers. 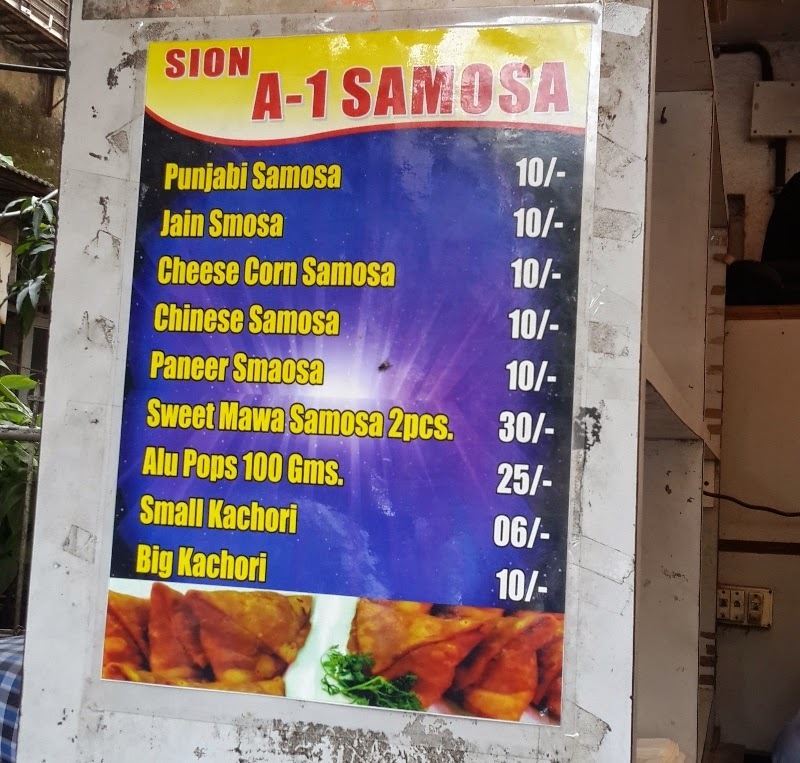 Also, A-1 doesn't sell just samosas. They have kachoris and "aloo-pops" too. My mother recently brought home some of A-1's paalak-paneer samosas (not on this menu). 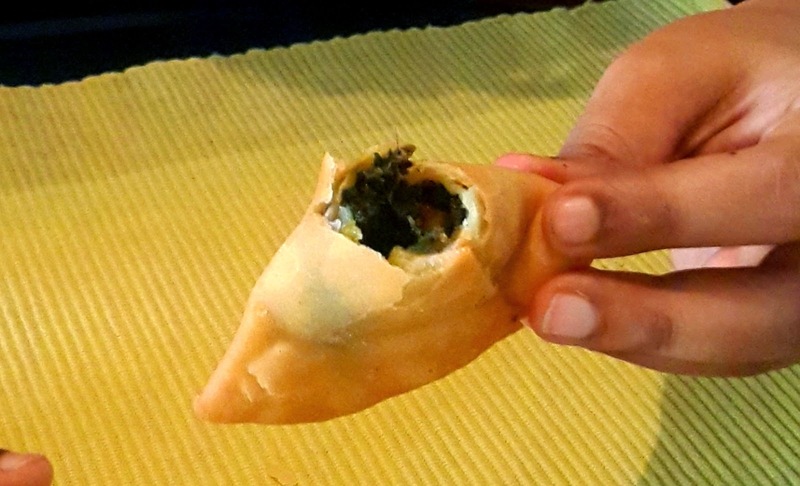 They were filled with paalak and paneer (spinach and cottage cheese). They were pretty good, but not as much paneer as I'd have liked. I think I'll stick with the Punjabi anyway. 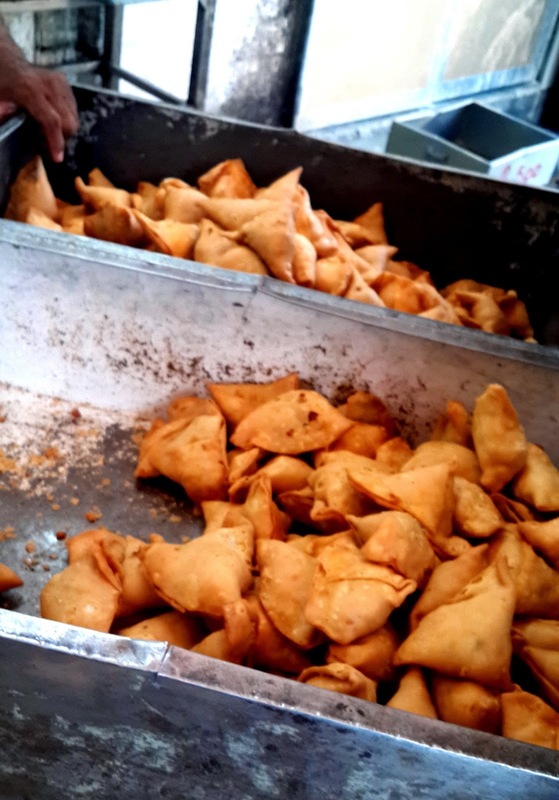 There are two locations where the samosas are made: the first is at Champaklal Estate, Sion East. Here, the masala / stuffing is made, and the samosas are rolled into their typical triangular shape. 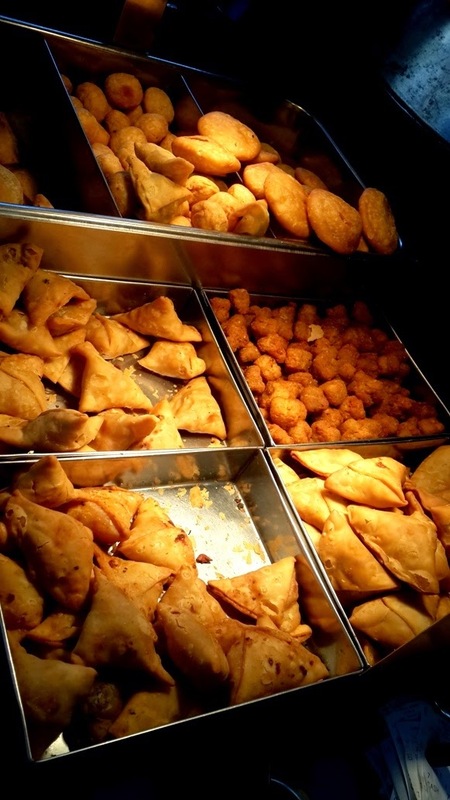 From Champaklal, it is taken to the A-1 outlet in Sion West, where the samosas are first 'half-fried' and kept ready. Then they are deep fried in batches and brought out front. From here, they're distributed to retail shops, cinemas, school and office canteens, caterers and party organisers. As each batch gets sold or distributed, new batches are deep fried. The distribution process is interesting: there is an army of freelance entreprenuers on cycles, who buy samosas from A-1 daily, and sell them to various buyers across the city. Typically they have a 1 rupee margin per samosa. 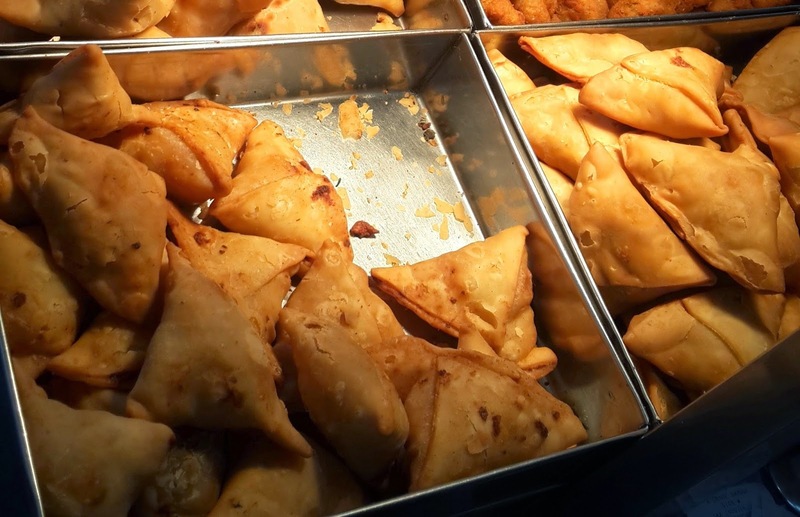 Sales are made in lots of 150 or 250 samosas (there is a weighing machine, so the samosas are placed on trays and weighed, not counted). Each freelance entrepreuner has his own set of contacts/buyers across the city to whom he sells. So if you go to A-1 at any time of the day, you can see hot samosas, coming right out of giant iron woks, being piled into trays, then loaded on cycles and being taken away. The large trays you see in this photo above can hold 250. A-1 was established more than 40 years ago by Kishanchand Nevendram, a Sindhi who came to Mumbai from Karachi, after the Partition. He is said to have left everything he had behind in Karachi. His grandson now owns the business. Anyway, here's a testament to this little shop's fame: not only do many Sion-dwellers swear by their samosas, but a friend of mine from Andheri (so far from Sion it might as well be Mars!) once came to hang out in Sion and said, "Do you know where I can try an A-1 samosa? I've heard a lot." Note: While A-1 has great variety, for something a bit more filling you can cross the road to the equally well known Gurukripa Hotel (Gurukripa and A-1 think of each other as simply two parts of the same business. A-1's owner is the nephew of Gurukripa's - it's all within the family). In Gurukripa you can get A-1's Punjabi samosas with some chhole (white chickpeas), garnished with some onion – delicioso! For the last 6 years, NCPA has been organizing a Marathi Film Festival to showcase critically acclaimed and national award winning films. 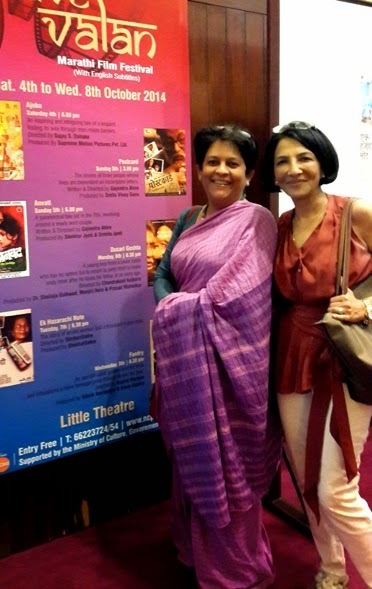 This year, I went with my friend Kiran to attend the screening of Shrihari Sathe's "Ek Hazaarachi Note". The films screened at the festival are sub-titled in English. Although I can follow spoken Marathi well, it helped to have sub-titles, especially since Ek Hazaarachi Note is set in Vidarbha, and there were many nuances of the rural dialect that I could not otherwise follow. NCPA's Marathi Film Festival is called 'Nave Valan', meaning, New Directions. Valan actually means "turning"; and the festival's name aptly reflects the new-wave of Marathi films that we have been seeing recently. There has been a new-found interest in Marathi cinema since 2004, when Shwaas was selected as India's official entry for the Oscars. 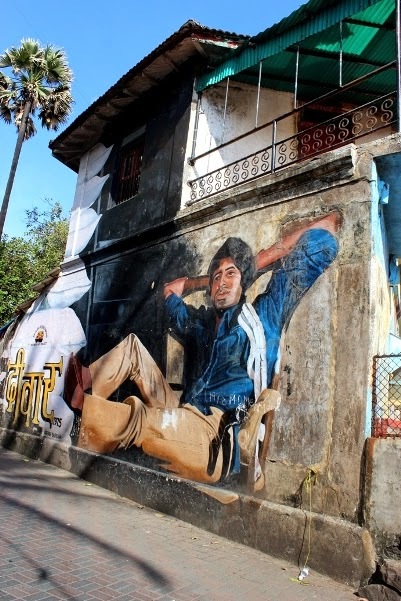 Budgets for Marathi cinema have increased; and we are also seeing an increase in the number of films produced. But more importantly, we are seeing talented people come forward. I enjoyed Ek Hazaarachi Note very much - it is the tale of life in a small village, told sensitively and simply. The festival screening included face-time with the cast and crew; and I loved meeting the script writer, Shrikant Bojewar, who did such a great job of bringing the culture of Vidharba district to life. Shekhar Sathe, who produced the film, is also a friend, so we all went to dinner later and discussed the making of the film. I thoroughly enjoyed the evening and have decided that I simply must put Nave Valan on my annual calendar! Thank you, NCPA. In a couple of minutes we figured out that it was a shoot for the new cleanliness campaign launched by the government of India. Lots of local people had gathered to watch the shoot; and I think everyone in the crowd realised what was going on. Of course, it had no impact on the actual mess of paper and plastic that was lying around the market area. I think along with positive messages we also need stiff fines. It will work better if we educate people, but also have Cleanliness Inspectors that follow through with monitoring measures. We need major re-thinking on urban waste management - so I am not really saying keeping the streets clean is going to solve our real garbage problems. But it's a start. I've been wanting to photograph Bandra Station ever since its restoration some 5-6 years ago. I finally got a chance to go there last week. It is by far, the city's prettiest railway station. No, it is not grand, like the Victoria Terminus, but in my eyes it is very beautiful. The woodwork and tiles add enormous charm, don't they? Plans for this station were finalised in the UK, and the building was erected by BBC&I in 1864. Finally in 1869, the train service (which ran only upto Mahim) was extended upto Bandra, paving the way for more people to settle in this suburb. By 1881, Bandra had 15,000 residents, of which half were Hindu, 30% were Christian and 15% Muslim. There were also Parsis, Jews and Armenians. 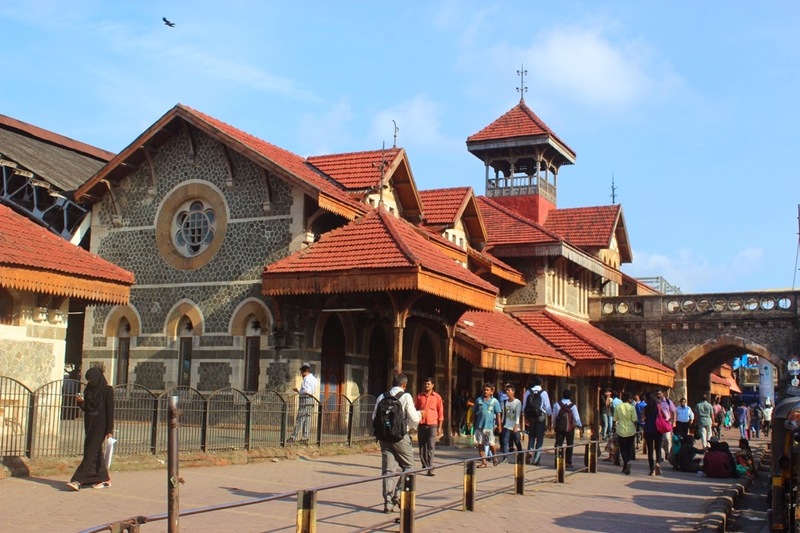 As part of the 1925 Heritage Regulations, Bandra Station was listed as a Grade 1 Heritage Structure (prime landmark in the city; no interventions permitted on exteriors or interiors). A conservation project was undertaken in 2008-2009 by Abha Narain Lambah Associates. The wooden eaves were restored, the roofing tiles repaired, some ticket counters and other temporary partitions demolished, the walls were strengthened. Extensive termite treatment was done. There are more phases of restoration planned for the interiors, but I don't know what's happening to that. 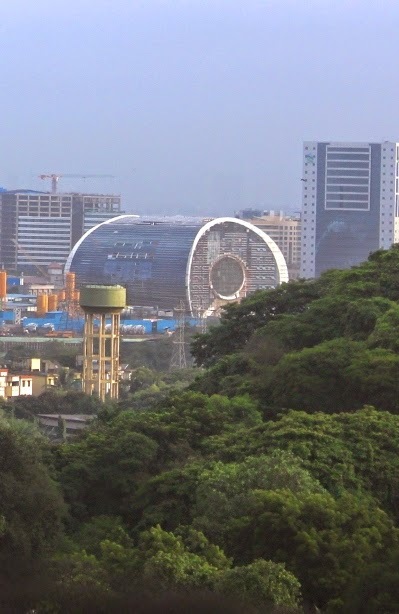 In case you didn't already know, this is the ONGC Green Building being built in Bandra Kurla Complex. I have been watching this building come up, little by little, for the last 2 years (I can see it from my 14th floor balcony in Sion). 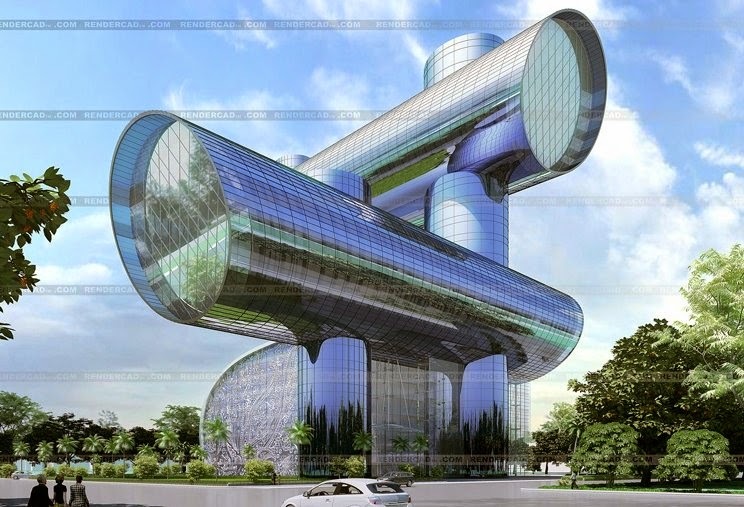 I even talked about this building in my interview for Mint. Finally last week I went to BKC and clicked a close-up photo; then I decided to read up about the building. Apparently, the Beer Can is designed to be "Green, Energy-efficient and Intelligent". This is a CDM Project - meaning that the energy conservation measures in this project will help ONGC generate Certified Emission Reduction units which may be traded in emissions trading schemes. This kind of project needs to be independently audited. A Japanese company called JACO CDM did the audit, and I managed to get the audit report copy. The original project plan filed with United Nations Framework Convention for Climate Change (UNFCCC) is also online. ONGC has several other similar projects in India. 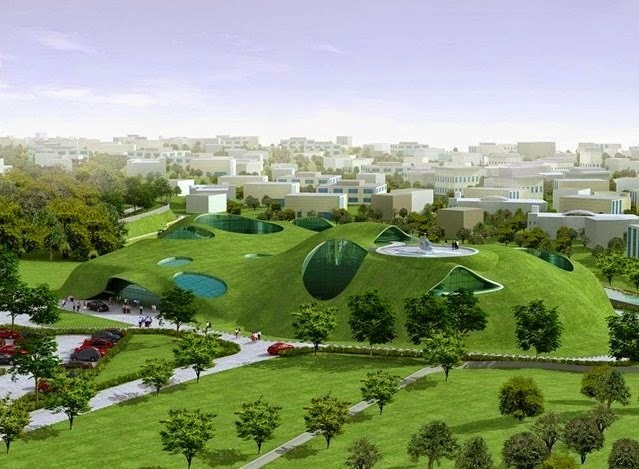 The one in Dehradun was completed last year, although I have not seen any real-life photos except this one. 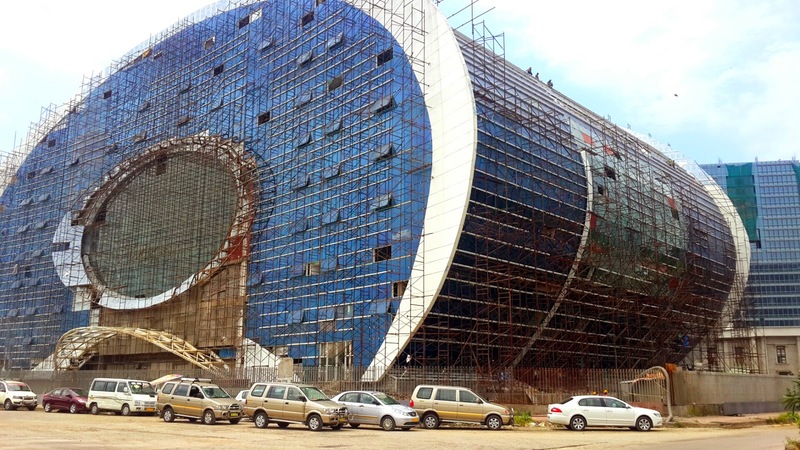 Construction on Kolkata has begun.